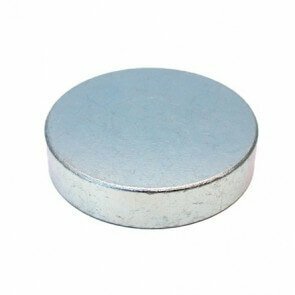 Our range of Excello pot magnets in neodymium is characterized by having a strong magnet enclosed in a metal pot. The pot itself is normally produced in solid metal and provides the opportunity to create different kinds of threading to the pot magnet. 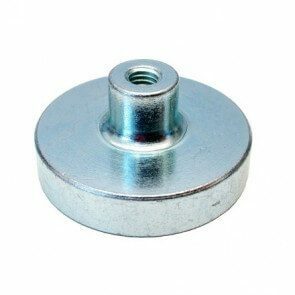 The metal surface holds two primary functions besides the mounting of threads. 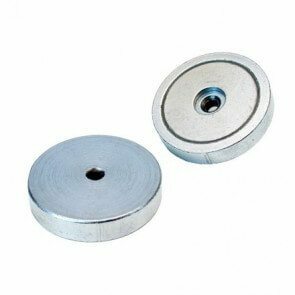 The pot serves to protect the enclosed magnet and it increases the overall magnetic strength of the pot magnet. Thanks to these special abilities our range of Excello pot magnets are often used as holding function within the industrial area. 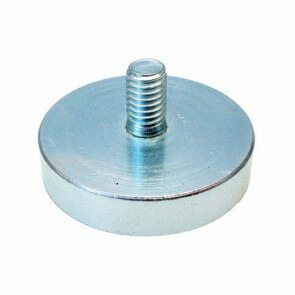 Neodymium pot magnets reach very high magnetic strengths even at small dimensions. This thanks to the strong neodymium material. The possibility of different threading makes the product ideal for many projects.